Before anything else – Congratulations! 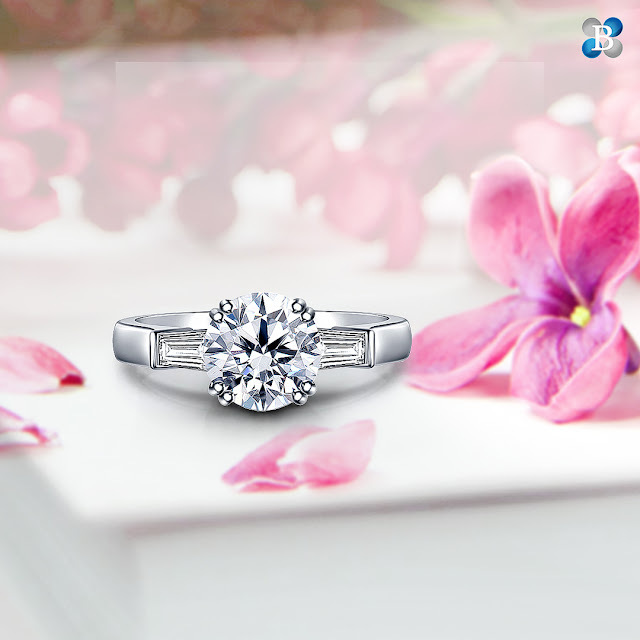 You’re about to propose to the love of your life on the most romantic day of the year- Valentine's Day. This is really exciting! Now buying an engagement ring is not the easiest thing to do. You have to really put thought, time and finances into it and make sure the ring you are buying is of quality and is aligned with your fiancé’s preferences. On top of that running from shop to shop trying to find a great deal and a perfect engagement ring; also dealing with the pushy salespersons can be simply exhausting! This whole process can be so much easier for you by just shopping online! You can look through different kinds of engagement rings for days before making a decision in the comfort of your own home – In the comfort of your own bed, under the covers and after a big nap. First of all, there is so much more transparency and clarity when it comes to diamond quality when you are shopping online. When you are making such a big financial investment, the quality of the product you are buying becomes the biggest priority and it definitely should be that way. Without the influence of a pushy salesperson you can make a way clear decision than with. 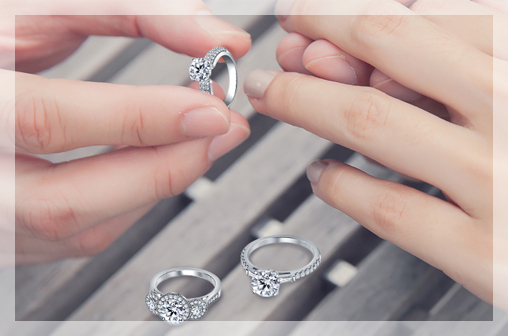 The best thing about looking for engagement rings online is that they will make sure that you know of every little aspect of the diamond that you are considering buying. Most reputable jewelry stores online offer exceptional magnified images of your diamond that let you see every little blemish, inclusion or flaws that a stone may have. The sense of security and confidence that that offers you is incomparable to the stress and anxiety of making the right decision at in-store jewelers. Online stores also offer perks like free shipping and returns, long or lifetime warranties and free ring sizing and that is just the icing on the cake! Most people are not sure about buying jewelry online because of the risk of scams and compromise in quality. We understand that there is a sense of security in the old fashioned ways of doing things and in seeing the ring in person as you are deciding to buy it. But know that you are only apprehensive because online shopping is an option that you are not used to and not because there is any real danger involved here. As long as you are buying your engagement ring from a reputable jewelry store you are good to go. These jewelers have their reputation and business at stake and so they are obligated to take all the care and responsibility for production and shipping. 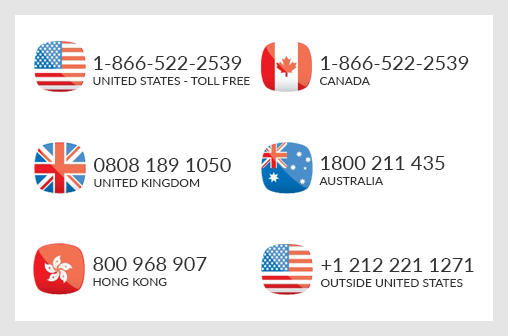 These reputable online stores also offer accurate certification from labs such as GIA, AGS and IGI that are trustworthy, and they also make sure that your delivery is insured. So there’s no need to worry at all! 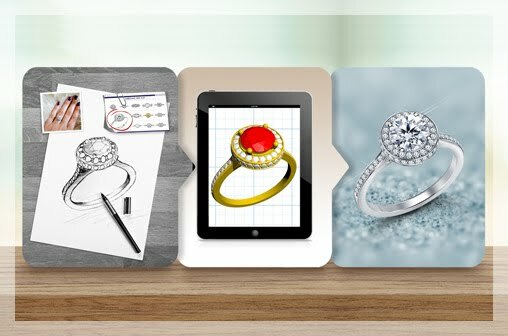 Online stores have a vast collection of engagement rings, stones and settings. 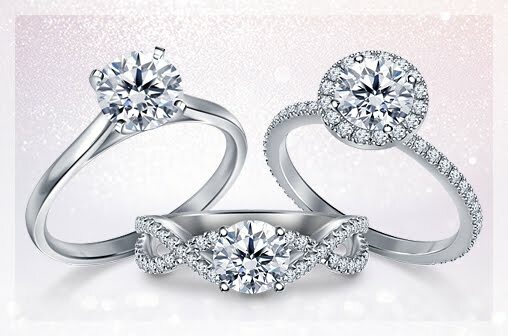 You can just open three tabs for three stores and that’s it – Sitting on the couch, looking at engagement rings at three stores in an afternoon! A lot of websites also offer you price comparisons which helps you make the best buy possible. It’s amazing really what the internet can do these days. Why not utilize it in the best ways? Not only do online stores have a big variety of shapes, designs and settings it is also more affordable compared to in-store purchases. I know it’s a bit confusing – “How does price matter when I’m shopping for jewelry online or offline? 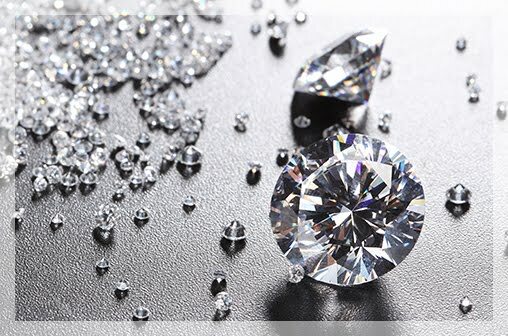 I’m buying the same gold and the same diamond!” Well the reality is that the online jewelers do not have any overhead costs like rent, store upkeep etc that in-store retailers normally do include in their products. Online stores are the new way to shop for jewelry and there is not much to complain about. Here you get a variety of products at a much reasonable rate that you can purchase in the comfort of your own home! Get started here.